This blade blank from BucknBear Knives features a high quality 1095 Damascus blade with a full-tang fixed blade design. It has a 3" blade with a sharpened edge, and an 8.00" length overall. The spine of the blade features intricate filework that adds to the Aesthetics. All that is left to do is add the handle scales and customize it to your liking. 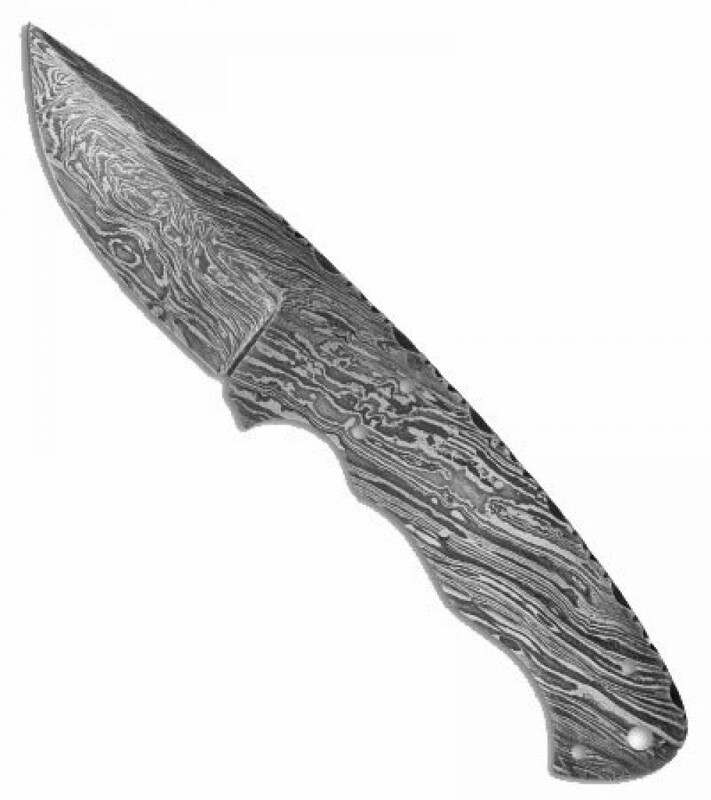 This blade blank from BucknBear Knives features a high quality 1095 Damascus blade with a full-tang fixed blade design. It has a 3" blade with a sharpened edge, and an 8.00" length overall. The spine of the blade features intricate filework that adds to the Aesthetics. All that is left to do is add the handle scales and customize it to your liking.